After attending the genbeauty expo in June 2017. I was curious about the Ipsy glambags. A few of my friends had ordered them and they did like them. The Ipsy Glam bag program is you purchase a monthly or annual membership. A monthly membership cost $10USD and free shipping in the US, $4.95 shipping to Canada. An annual memebership is $110USD for 11months plus one month free and free shipping to the US, it’s plus $4.95 shipping every month to Canada. It’s around $19C every month, the annual subscription with $4.95 shipping each month is around $210C. 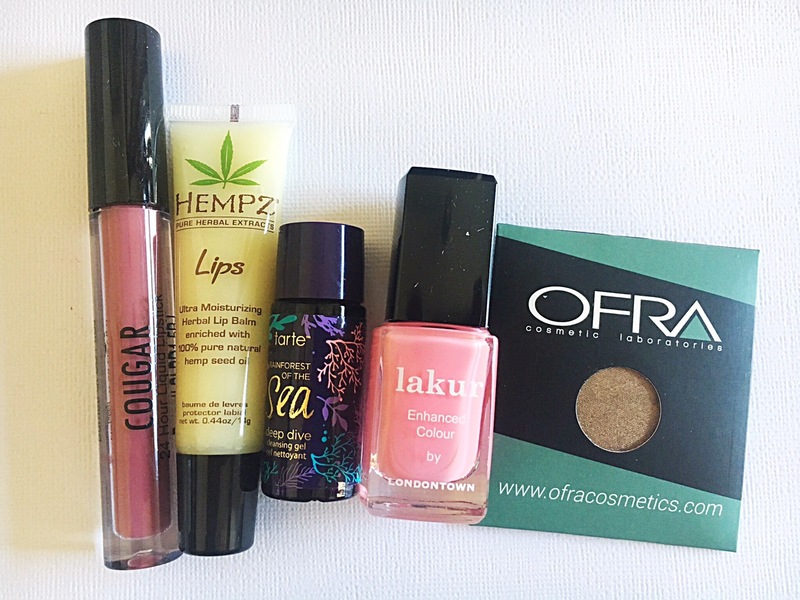 What do you get in an Ipsy Glam bag? First when you subscribe and get off the wait list there is a beauty quiz you have to take and they use it to personalize and to better suit your glam bag to you. Each month there are 5 deluxe beauty samples (usually 1-2 full size are included too) plus a bag to hold it all. On to the good stuff my first Ipsy glam bag! 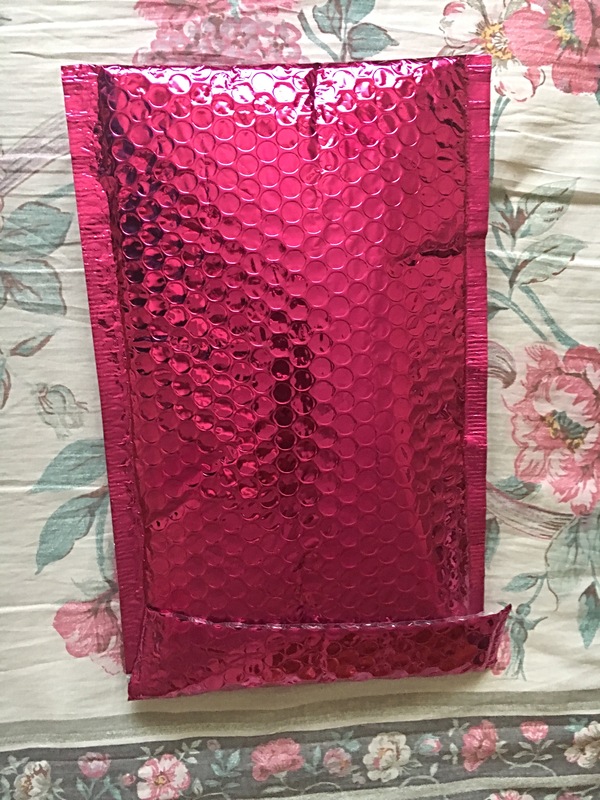 Every Ipsy bag gets shipped in this metallic pink envelope mailer. 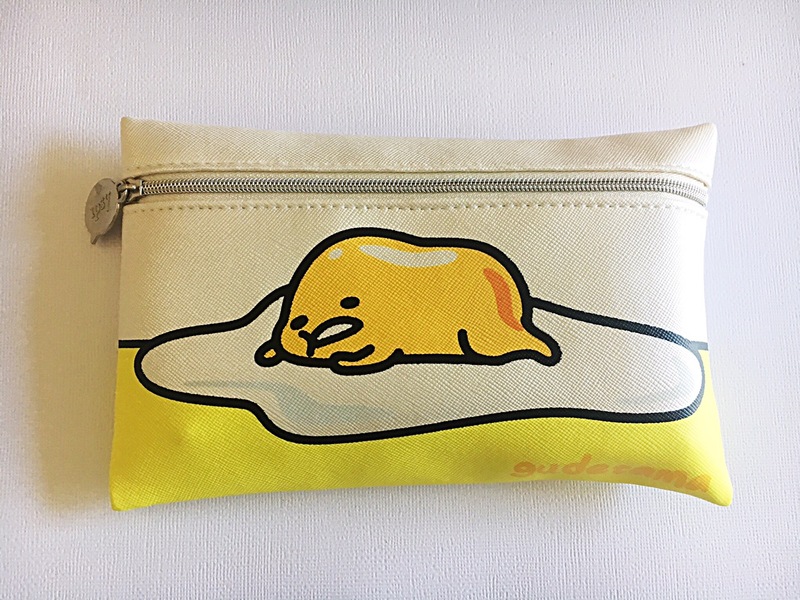 The July Ipsy Glam Bag is gudaema and since I’m not aware of its popularity it’s meh to me. I love the shade, its a mauve plum shade, which is right my alley. 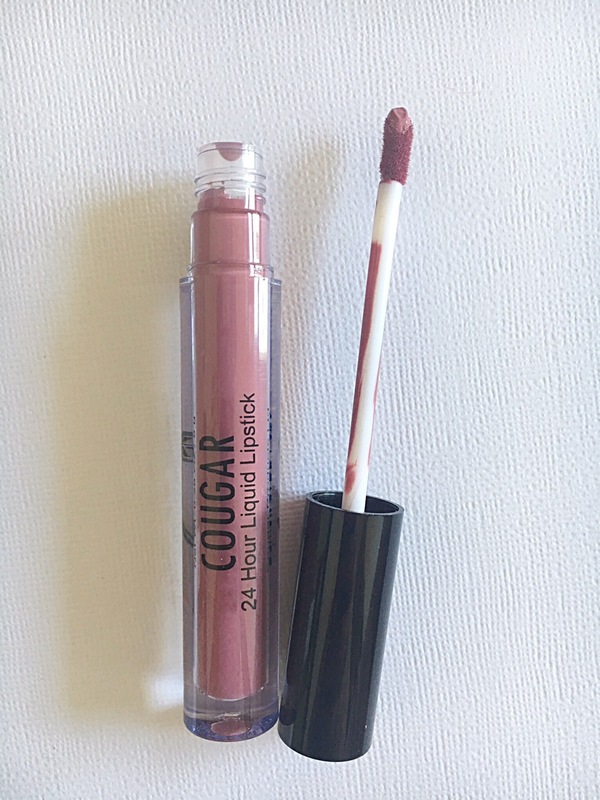 It’s pigmentented, easy to apply and dries down but it doesn’t dry out my lips. I didn’t find it long lasting and definitely won’t last 24 hours. I would give it a good 4 hours before needing to reapply. I do like the product and would definitely buy from the company, but ordering from a UK company in Canada is going to be super expensive. 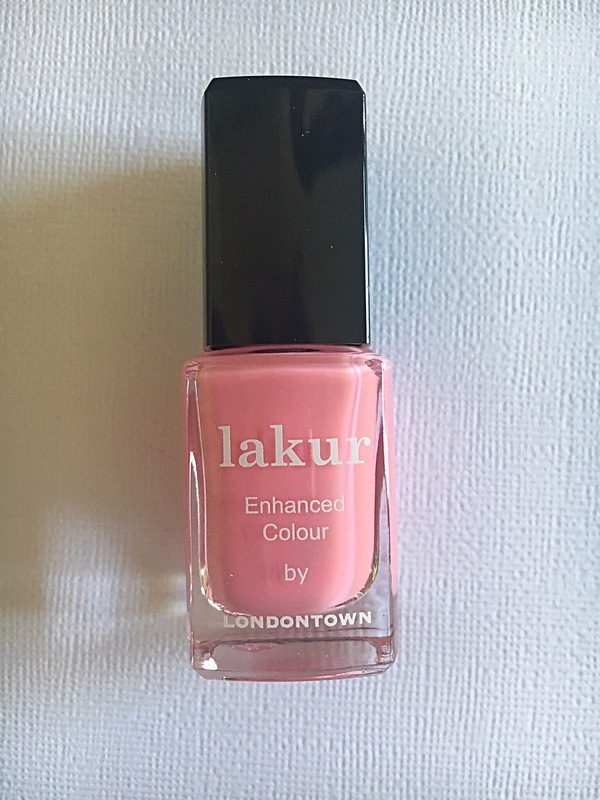 The perfect summer pink shade. I loved the colour and used it on fingers and toes. I normally don’t do matching mani and pedi but I loved the pink shade on my toes that I had try it out on my fingers. The formula is on the thin side so I used 3-4 coats. On my toes especially except for the big toe I used 2 coats. I didn’t have any cracks or dents for 5 days then I started to have some tip wear. I had never used a cleansing gel or even thought of buying a cleansing gel. I am in love with it, I finished that tiny sample right away and went to buy a big full size version. After washing with it my skin feel so soft and smooth. I had to tell my best friend about it. She bought the full size one too and loves it. One little con is the small it isn’t a particular nice smell but it disappears quickly enough so it doesn’t get too annoying. It’s a nice lightweight herbal moisturizering balm for summer. It’s not thick or sticky but it still leaves my lips feeling soft after applying. Especially in summer I don’t want thick or goopy balms, but since my lips can still get dry in the summer this lightweight balm is perfect. It’s made from 100% natural hemp seed oil and provides nourishment, hydration and conditioning to lips. I’m not much of an eye shadow person. It is a nice colour applies smoothly and is creamy and metallic. I love/like all these products so for my first Ipsy Glam Bag ever I am impressed and I hope they will all be this good!